The story of Dunrobin Castle and its close links with the Earls and Dukes of Sutherland is set out in full in our feature page about it. There is also a separate feature page about the Dunrobin Castle Gardens. 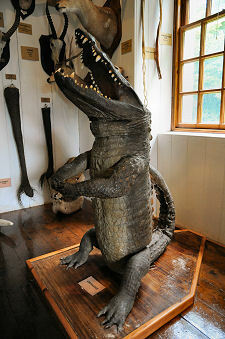 On this page we focus on Dunrobin Castle Museum. Full information about opening hours and admission prices can be found via our Dunrobin Castle feature page: admission to the museum is included in admission to the castle. Dunrobin Castle Museum was built in 1762 by William, 16th Earl of Sutherland, to serve as a summer house in the grounds of the castle. It was significantly extended to the rear by the 3rd Duke of Sutherland, specifically to provide a suitable place in which to display the family's large collection of objects brought back to Dunrobin from all over the world, and from all over Sutherland. The museum stands off to the north eastern or left hand side of the gardens when viewed from the castle. It can be reached either by a path that runs from the foot of the steps down from the castle around the outside of the garden wall, or through a gate in the north eastern wall of the garden itself. Access to the museum is up a set of stone steps leading to a door, above which is the family crest. 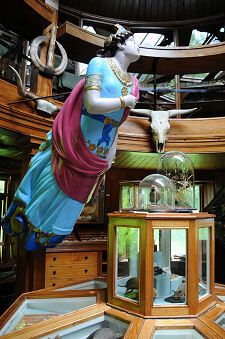 Within the door you come face to face with part of the huge collection of hunting trophies collected by the Sutherlands in an era in which it was the norm, if you were rich enough, to bring back from foreign trips bodies of the native fauna, rather than photographs of them. To modern eyes only too aware that mankind has pushed many creatures to the edge of extinction or beyond, the effect of this can be slightly overwhelming. But it is worth remembering that this was not the way the world was seen when these trophies were collected: and the existence of a collection like this is a salutary reminder of the way our own world view has changed over the centuries. At the rear of the front section of the museum an arched doorway gives access to what must be one of the most impressive rooms in Scotland. The extension housing the main museum is impressive not because of is size: it is actually quite modest in scale. Rather it is impressive because of its superb galleried design, which you enter at a level half way between the main floor and the gallery, because of the lighting from the glass roof, and because of the way the same wood has been used throughout. This gives a unifying effect which really shows the contents of the museum at their very best. And the contents are pretty impressive. 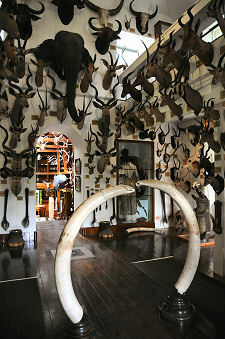 There are more hunting trophies here, but they are easier to look beyond than they are in the entrance room. Pride of place at the far end is given to the figurehead of the 3rd Duke of Sutherland's yacht Catania. Areas of the museum are given over to the gold rush at Baile an Or in Strath Kildonan in 1869, and to coal mining at Brora, which took place from the early 1500s until the final closure of the pit in 1974. 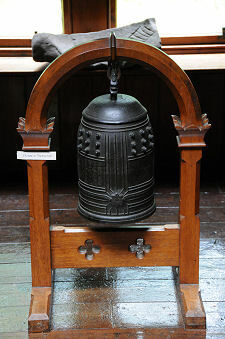 There are also mementos of the Sutherlands' foreign trips such as a temple bell from China or Tibet. 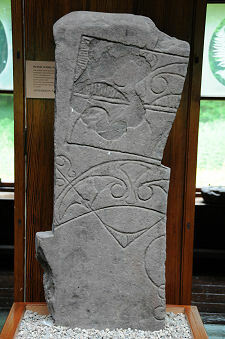 But for us the main attraction of the museum is its remarkably fine collection of carved Pictish stones. The Picts were a confederation of tribes that came together to oppose the Romans, then occupied the central and eastern parts of Scotland north of the Forth-Clyde line for several hundred years after the Romans' departure. They were converted to Christianity in the century following a visit by St Columba in 565. 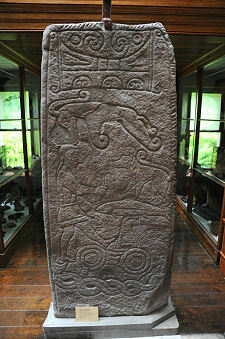 After about 850 the Picts were slowly incorporated into the Scots Kingdom of Alba under King Kenneth MacAlpin, and over time their separate identity was lost to that of the Scots. 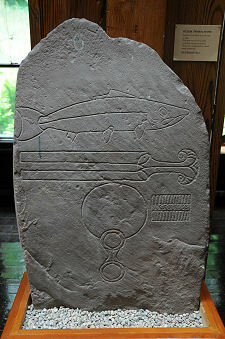 We know most about the Picts from the carvings they left from the period between the completion of their conversion in about 650 to their eventual assimilation into Alba. 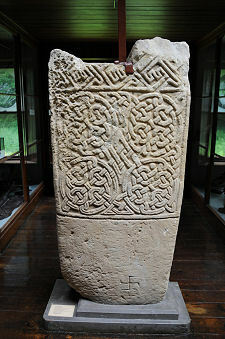 These can be seen dotted spectacularly across much of the eastern side of Scotland north of the River Forth, and there are a number of collections you can visit. 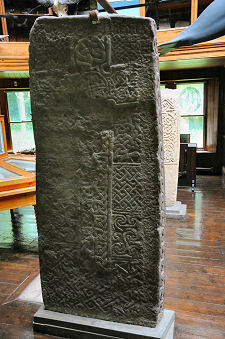 The collection of Pictish stones at Dunrobin is one of the best. It is home to a significant number of stones, and perhaps more importantly, the carvings on view are exceptionally crisp and well preserved. 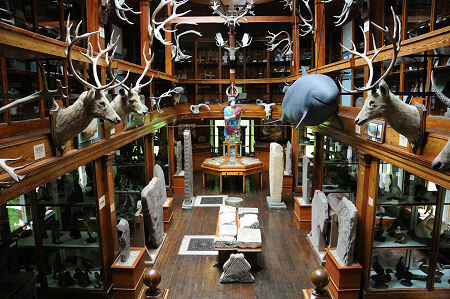 Whatever your feelings about hunting trophies, it really is worth exploring the other aspects of the superb collections housed at Dunrobin Castle Museum.